Seguimos con 2016 (FELIZ AÑO, btw ^^) con una oferta de Servicio Voluntario Europeo muy “rara” de encontrar, en Suecia!. Se trata de la oportunidad de pasar seis meses en Suecia. ¿Quieres ser tú uno de ellos? ¡Sigue leyendo! Örkelljunga is small town which has about 9 000 residents. The town is situated at the south Sweden. It is located central for reaching big cities in Sweden like Malmö, Göteborg and in Denmark like Copenhagen, Helsingör. Örkelljunga is surrounded by forest and has many lakes. It is possible to make fishing, canoeing, kayak, camping, hiking, and swimming. In Örkelljunga you can find shops, restaurant, supermarkets, medical care, pharmacy, post office, indoor swimming pool and gym. During the winter months, when it is often cold and dark, it can be a bit more challenging for some volunteers, so it is good to be aware that Örkelljunga is not a big city with plenty of evening activities. Some volunteers use the weekends to visit other places near Örkelljunga. Even if Örkelljunga is small town people are well educated and can speak several languages. There is no big gap between economical situations of people. Our office is central and it is kind of a meeting place for volunteers and people. Local people have positive image about our organization. Kastrup airport (Copenhagen) is the main airport to fly. Hosting organisation was founded in 2013 in south of Sweden, Örkelljunga. Hosting organisation has extended network with municipalities, schools and youth centres. It is a volunteer based organization that has 25 active volunteers. IFALL is now in tree cities; Klippan, Ängelholm and Örkelljunga. 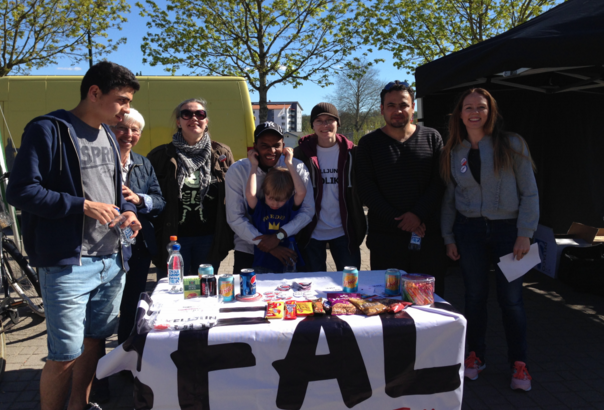 The main objective of the organization is to promote integration between cultures and counteract violence between cultures in Sweden. In this way we would like to state that we are not only working with integration of immigrants but also we are working with integration of cultures in different levels. • Enabling individuals to help themselves so they have a better understanding of her/his own culture and their self-esteem amplifies. • Developing and practicing effective and creative approaches/methods for integration, both formal and non-formal. • Spreading information in order to increase awareness of the meaning of culture and different cultures. Hosting organisation works with integration in different levels. b)Intellectual Level; We are applying for adult education and youth projects in local and international levels. Erasmus + and Nordplus are main fonds that we are working with. In this level youth and adults volunteers became more experienced with projects especially about sharing best practices between project partners. This is a kind of platform for our volunteers that they can prepare activities for ground level. Nonformal education and methods are applied for these levels of activity. Creative Drama and Film making are some of methods which uses in trainings. hosting organisation is cooperating with local and international organizations for EVS projects. Örkelljunga Kommun and Klippan Kommun are main local partners in European Volunteer Service for long-term volunteership in Örkelljunga, Klippan and Ängelholm Sweden.hosting organisation has been cooperating for different Erasmus Plus projects. There are not so many young people in Sweden who knows Erasmus + opportunities especially in small villages. Moreover not many organizations in Sweden have the knowledge about Erasmus + and capacity to lead a project which can attract young people.The project ”Erasmus + Team” would like to promote volunteering through Erasmus + especially about European Volunteer Service. Promotion of Erasmus + will lead better understanding of European Citizenship, integration between minority and majority society, nowadays challenge about refugees crises, migration procedures and increasing cooperation of local organization for European project. – To promote Erasmus Plus locally and give youth more opportunities within their local communities and within Europe to encourage intercultural values. -To increase the awareness of volunteering and therefore increase the possibility of future employment for young people. -To raise the profile of local Swedish and European organizations which can increase opportunities and networks and help these organizations’ development and capacities. -To increase sensitivity between and towards minority and majority issues within Sweden, including people from migrant backgrounds. – Young people who are motivated to learn new languages, new social skills and competence. – Young people who will improve specific skills related to youth work, group dynamics, sustainable organizational development and leadership. – Young people who are 20 – 25 years old. – We prefer individuals that have considerable experience in volunteering in a youth NGO, especially if related to marginalized communities and youth with fewer opportunities or in social exclusion. 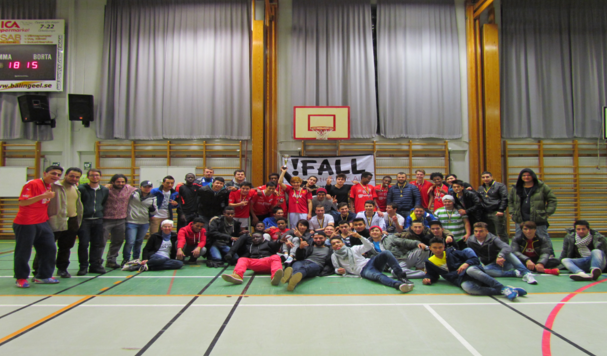 – to help other volunteers about activity groups such as language café, homework support, sport activities like football and volleyball, film evenings, art and craft and choir in Ängelholm, Klippan and Örkelljunga. – to communicate with Swedish and European future volunteers answering questions about how to apply for a project especially EVS, giving advice how to find a project. – to help some administrative work such as membership registration and care. – to plan and organize international evenings for immigrants and local people. – to join international project meeting with project coordinators in Sweden. – to visit different NGOs/Schools in order to build network and make presentation about Erasmus +. – to start your own project/activity during summer 2016 with IFALLs target group. – The project ”Erasmus + Team” will include long-term EVS with 6 months and hosting organisation will host 1 young person from France, Italy, Portugal and Spain in Örkelljunga Sweden (totally 4 young people). They are going to help for promotion of Erasmus +, volunteering and building a network among organizations in Örkelljunga and Skåne for Erasmus + from 1st of April 2016 to 1st of October 2016. – Accommodation will be provided in Örkelljunga with shared room and kitchen in a flat. It is near to centre (10 min by walk). – Volunteer will get 220 Euro for Food. They will cook and arrange their meals. – Volunteer also will get 115 Euro pocket money monthly. – Örkelljunga is small town so local transport will be based on bike or walking. 2 bikes will be available for 4 volunteers. – Travel cost from Spain and France to Örkelljunga will be covered according to Erasmus Plus new regulations. French and Italian volunteers: 275 Euro per volunteer and Spanish and Portuguese volunteers: 360 Euro per volunteer.